Oh Julie I’m so sorry! The only way I think I could help you and your family is praying for you so can find strength and peace in God through this difficult times. I send you, Ryan and Chase the biggest hug ever! I am so sorry … thinking of you and your family and praying for you..
My heart goes out to you. I am sooo sorry for your loss. I can’t even imagine how that must feel. Praying for you and your family. I have my own rainbow baby at home. Miscarriage is not something I’d wish upon anyone, but it has given me a profound sense of awareness with our daughter and how blessed we are to have her. Perhaps this kind of perspective is the silver lining to hold onto during this difficult time. I am very to hear about your second loss. I also had two miscarriages but before I had a successful pregnancy. The doctor said one thing to me that stuck…’you are healthy and do not have a problem getting pregnant ‘. The third pregnancy I saw him early in the pregnancy and took progesterone to help keep the pregnancy. Remember you are healthy and stable, as heart breaking that miscarriages are there will be a right time for you. It’s so hard because we are silent about being pregnant in the early stages that it’s hard to share. You sharing with us is a huge step, and will help not only you but the rest of us that have this unfortunate event happen. Love and peace for your heavy heart. Thank you for sharing such a personal experience. Miscarriage is so often pushed under the rug and when you are going through it you think you are the only one. My first pregnancy ended in a miscarriage after trying a few more months we were told by a specialist it would be very difficult for us to have our own children (I had cancer as a young child and this was related to that). Three years later we have two healthy boys conceived au natural against most odds. I found the waiting and unknown to be the worst part. In the end I know the whole process has made me a better mother and my husband and I a better family unit. We appreciate things more than we ever would have if it was smooth sailing. Praying that your family grows in the near future. Julie, you are not alone. I wish I could hug you. Thank you so much for sharing your experience. I couldn’t hold back my tears when reading your posting. When you say “Chase is my joy and this experience has only made us more acutely aware of what an intense and incredible blessing our son is in our lives”. I totally relate. Even though I haven’t lost a baby, I became very close to losing our son while pregnant and I will never forget how much of an incredible, magical blessing he is! Bringing a life into this world is not easy and it sure does bring intense anxiety. You are a strong woman and your Chase is so lucky to have you as his Mother. I pray you find peace and your happiness is restored. You are admired. Julie, I have been following you for years and the only other time I have commented was after your first miscarriage. I too know this pain and wish having experienced it myself that I had better words of comfort or wisdom to share after such a difficult loss. But I don’t. So all I can say is I hope Chase brings you and Ryan some solace. And give yourself as much time and leeway as you need to mourn this loss. And again, thank you for sharing. I think removing the secrecy surrounding miscarriage will help so many women (and families) in so many ways. I’m so sorry to hear you are going through this pain again. Your family are in my thoughts and prayers. I hope that you find some answers and that when the time comes, God blesses you with many healthy babies to fill your loving home. I’m deeply sorry for your loss, hope you can find some peace at mind soon. My kindest wishes to you and your family! Oh, Julie. I commented after your first loss and it breaks my heart to be commenting again in this situation. I am the mom of a double-rainbow baby and although the trials we faced in getting her felt unbearable, they have blessed us with an intense awareness of how lucky we are to have her each and every day. Thank you for this well-written, vulnerable, and touching post. It will be a comfort to so many people. I pray that the happy post about your growing family will come very very soon. Hugs, love, and good wishes to you and your family. I am so sorry for the loss of your baby. My prayers are with you, Ryan and sweet baby Chase. Like everybody else, I am so saddened and sickened to read this. I’m so sorry, you guys. Praying for you in your loss. Julie you are an amazing person. Thank you for sharing your story. I am sorry for the loss to your family. I do believe things happen for a reason. You are blessed with wonderful family and friends who will help you get through this sad time. Prayers to all of you. I’m so saddened to hear this news. I hope you are having lots of Chase cuddles and taking time to process. Thinking of you here in New Zealand. I remember after my first miscarriage of twins I woke up from the D&C to see my husband sitting next to me in the recovery room. They had let him wait for me to wAke up (something they normally don’t do) because I had been crying even before the anesthesia wore off. That empty feeling of just waking up not pregnancy when you went to sleep with a sweet baby in your womb is so profoundly sad. After my second miscarriage I remembered that God got me thoufhcthrfirst and He would do it again, but that didn’t take away the hurt in the moment. I’ve had 3 healthy babies since then so there is hope in the struggle. I always take progesterone through week 10 because of my history…just something to explore for next time! Julie, my heart sank as soon as I saw the title of your blog post. I am so very deeply sorry for you and for your family. I have been a blog reader since 2010ish, and I have only commented a handful of times, but I wanted to extend a hug through the computer. I am so glad you had your mama there this past weekend, and I am even more glad that you have an amazing support system through your family, your childhood friends, your NC friends, and your cyber friends. I pray for you guys, and I will continue to do so. I don’t have the experience that feels necessary to comment on this post – I’m 21 and not yet in the family-starting phase of life. Still, I feel compelled to tell you that I’m so deeply sorry for your loss. I’ve been following your blog since early high school and always appreciate your authenticity and rawness, even though I’m sure it’s not always easy to share. Thinking of you and your family and sending you love. Oh Julie, I have tears in my eyes after reading this. So sorry for your loss. I know how incredibly difficult this time is. I have experienced two losses as well. I opted not to have the d&c and wish I would have because I walked around for weeks after learning my baby no longer had a heartbeat before my body naturally got it out. It was terrible walking around those days knowing what was inside of me. It felt so private but wildly freeing to open up about it and talk to others. I found out so many people have gone through similar experiences and felt so much less alone. Know that you are not alone and my thoughts are with you. I have gone on to have two healthy pregnancies and babies and truly wish you the same blessing. Sending you hugs. 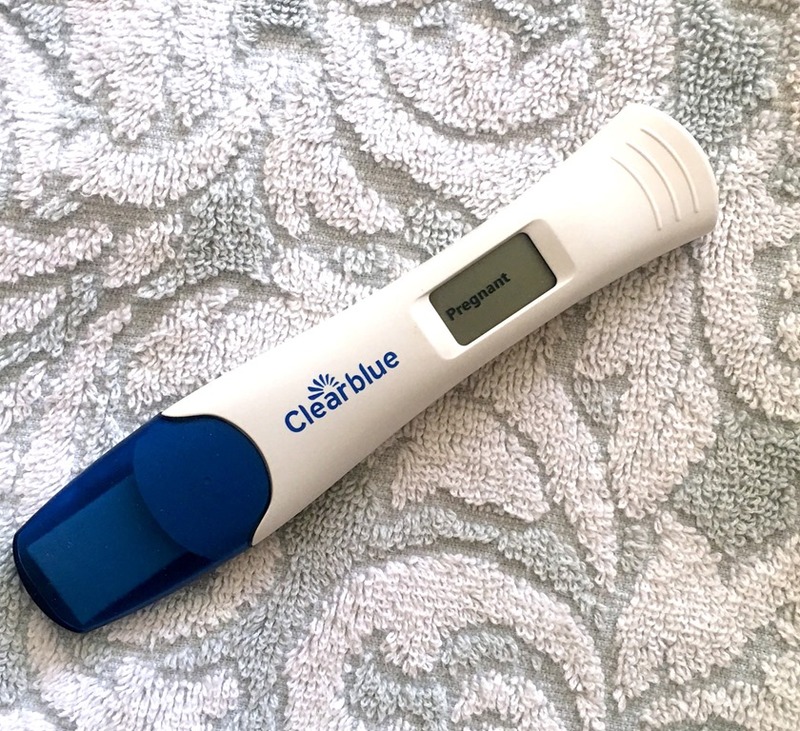 I have been following your blog for some years now and when you experienced your first miscarriage, I had experienced the same not too long before you. My heart ached still and as I prayed for my own sanity, I prayed for peace for you. I have followed and checked in to see if you would try again, this time with a much better outcome. I can say that as I type this, my heart breaks for you all over again. When I found out I was pregnant again, I didn’t utter a word to anyone but my husband until we were out of the first trimester. The nerves never went away, they are constant with every week between appointments, every day I’d wake up and wonder, are you still alive in there? 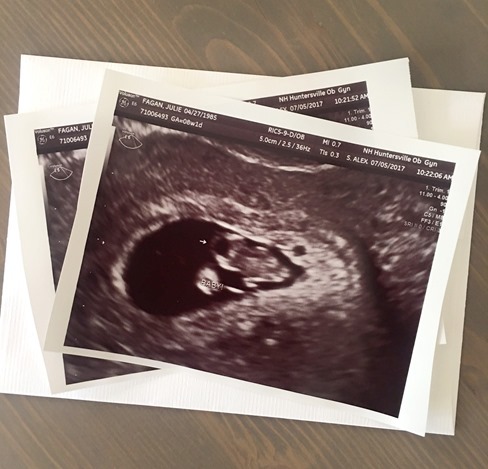 I pray non-stop all day for the ability to carry this baby to full term and as I ease into the third trimester, I can say that the fear is still here. I want to tell you thank you for speaking about a topic that many won’t, for opening up your heart to your followers who have wrapped you and your family in ours. I know from experience there are NO words that can lessen the pain, and I just want you to know that even in this time of sadness, there will be rainbow at the end of your storm. Blessings to you Julie and your family! Julie, my heart aches for you and Ryan as you go through this. Praying for you and hoping you can get some peace throughout this journey. I was so sorry to read this Julie. I have been reading your blog for years and have enjoyed watching your family change and grow. I am in tears reading this post. I had an early miscarriage several months ago and am now 14 weeks along with my second pregnancy. I pray everyday that I will continue with a healthy pregnancy but worry everyday that that could change at any moment. My thoughts are with you and Ryan and I pray that you will find answers. You are both so strong and I know you will find support in each other during this difficult time. Sending love to you both! A friend had sent me your blog to start reading, so much of what you have said resonates with me. This past Wednesday we experienced our 3rd loss in the past year and 1/2. I have had one miscarriage and 2 still births. On Wednesday I had gotten the news that has given me anxiety going to every doctors appt.. that our baby does not have a heartbeat. I was 23 weeks pregnant and I had just lost a baby in October at 24 weeks, I could t believe that this is happening again. No matter how many times you go through a loss it is not easy. But one thing I have found with experiencing these losses is you are not alone. Unfortunately these things happen to more families then we even know. Hearing and reading people’s stories that you are not the only one who has gone through this can be more comforting when you feel so empty and alone. I am thankful to have such a strong support system from friends, family, and co-workers. I know my time will come to be a mother to a full term pregnancy, and will appreciate that little baby more than I will ever know. Thank you for sharing what you are going through. I look forward to reading more of your posts. i’m so terribly sorry for you guys once again. as a long time reader, i feel a sort-of connection to blog authors, almost like we are all friends! so to send hugs and prayers visually almost doesn’t seem like enough, but know we are all here to read and are with you in any way you need. My husband and I send our prayers! So very sorry for your loss. Children are beautiful miracle every time. I had a long, hard road to having my little girl 5 months ago. It is such an emotional, all- encompassing, anxiety-filled journey. I felt sick (literally) hearing this heart wrenching news. It’s so hard to know why God does the things he does and the plan he makes for us. Ive had my own battle with infertility that lasted 5 years, and I couldn’t see light while I was in the middle of it. Until I got pregnant, twice. 2 pregnancies and 3 kiddos later my wonderful life happened. I want you to know that you’re an amazingly strong woman, mother, and wife. Trust in the muddy process that is life and kiss Chase a few extra times throughout the day. You will be blessed with more kiddos one way or another, I just know. Please know you and Ryan are in my thoughts and prayers. Chin up doll. Julie, reading this I was sobbing along with you. You are so strong. My thoughts are with you and your family. You have one beautiful son and I’m sure – more to follow – but I know that doesn’t diminish the loss your feeling now. I wish you a speedy recovery and, ultimately, a family that is as large as you would like it to be. The love of your life + the joy of your life + the dog to end all.dogs = family joy. Oh, I’m SO sorry to hear about your second loss. It just is SO unfair. You think, ok, one MC. They’re so, so common. But, a second? WTF!!! I’ve been there, and then had a third. At that point you just feel like, ok. This is unreal. 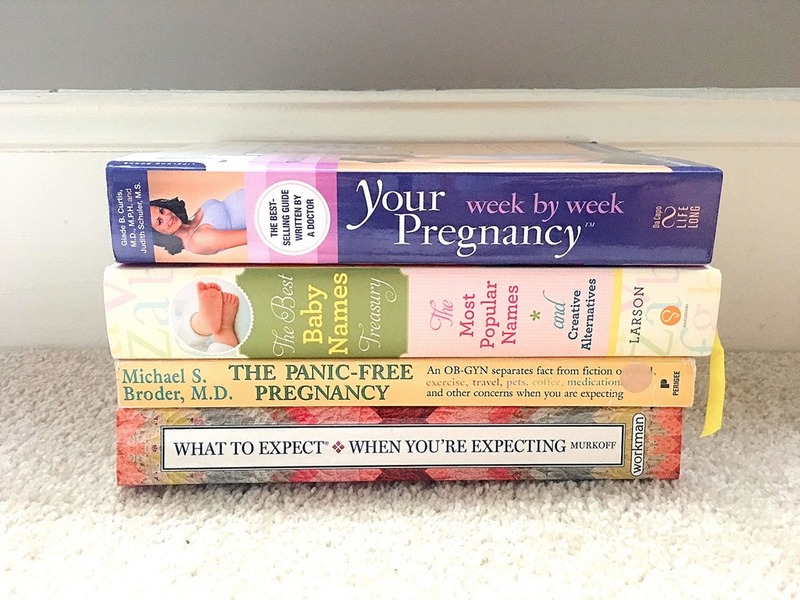 I had three in a row: pregnant, MC, month later, pregnant, MC and so on. Took me five or so months to get pregnant again and the fourth time did it. After three, we did some testing but nothing came from it. Everything “normal.” It doesn’t matter. It’s so hard. I’m sorry, babe. I am so sorry to read this, Julie and I will be praying for you and Ryan! I know you have two angels in heaven watching over your family. I never post on blogs, but thought I’d share as I had very similar experiences. I was very fortunate to have two wonderful, healthy children. I then experienced two miscarriages in a row, one at 12 weeks and the other at 16. Both times we had heard the heartbeats. All seemed to be going well until the next appointments when there were no heartbeats and I had to have D&C’s. I did get pregnant again. My doctor asked when I would relax during that pregnancy and I said “not until the baby was born.” And, he was born, full term, healthy and happy. He will be 14 on August 12. I still think about those two losses especially when I hear stories like yours. I was told the same thing – that I was not “high risk” until I had experienced 3 miscarriages. Luckily, I never had to go through a third. My heart goes out to all couples experiencing infertility as I already had two children and was still utterly devastated with both miscarriages. I cannot imagine those who go through it without already having children. Big hugs to you Julie. I’m so sorry for your loss. I feel for you all, but I hope I can help. Please look at the Wellness Mama blog. 40% of us can’t change folic acid to folate. The synthetic version of folate…folic acid is found in most breads, cereals and even prenatal vitamins. She recommends Seeking Health Optimal Prenatal which is available on Amazon. It’s expensive, but they use high quality ingredients. I was actually blood tested for the mutation MTHFR which came back positive. Many OBs don’t test or know about this issue. Please research…. thank you for sharing this. i’ll absolutely look into it. i have mthfr on my list of things to ask my doctor about as well when our test results come back in. Julie – I was catching up with your posts, really needing some words of compassion when I came across your mentioning of a second loss. I too just experienced a second miscarriage and had another D&C last week. We are also requesting more tests as my earlier blood work came back normal. I am so sorry you are going through this sadness. I’ve been managing by learning new recipes, reading, basically trying to channel all my negative emotions into something positive. I want to thank you for talking about this. I think from the beginning, when women are told not to reveal their pregnancies in case of something going wrong, we’re set up to feel alone when something unfortunate does happen; it’s kept hidden. Like you I’ve been opening up to family and friends and that is helping. Thank you for being a model of strength during this difficult time. I greatly appreciate it and hope that you find peace in knowing you’re helping someone. Sending positive thoughts your way. So sorry for your loss.. after experiencing infertility, -! : beating it twice, we have now experienced our second miscarriage. I was 11 weeks this time, and like you thought “this isn’t going to happen again, what are the chances? Please don’t let it happen again”… I am now lost as to what to do next. After 3.5 years of trying with no babies to hold it is SO hard. I would love any information on what testing is being done for you so that I could request the same. I came here to read this today after finding out our baby’s heart stopped beating yesterday afternoon. Thanks for sharing. It’s so helpful to not feel alone during a time when you feel nothing but ALONE. When I miscarried a few weeks ago, one of the first things I did was come back and read this posts. Although they made me so much more sad because the first time I read them I sympathized with you but could not fathom the pain. This time I read them, I knew exactly how much worse it is than one could ever imagine. You were farther along then me both times so my guess is that I only have an inkling of understanding. I just wanted to say I’m so sorry for your loss and thank you for writing your posts. They helped me not feel so alone and encouraged me to share my own story, as painful as it was. Your family will be in our prayers. Thank you again!